The LEX F10, offered specifically for public safety users. Built durable, your team can rely on the LEX F10 in the most challenging environments. It works with your existing fleet and management tools, so you can get up and running easily. It enhances the equipment your team uses today, so you don’t have to invest in new devices tomorrow. 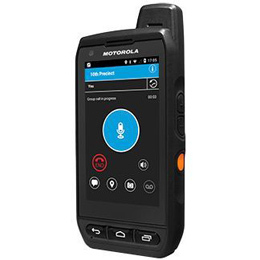 And it’s an AT&T-certified Band Class 14 device that’s compatible with the apps and connectivity solutions public safety professionals depend on. The LEX L11 Mission Critical LTE Device is designed with first responders in mind. Every feature and function is thoughtfully considered, from the rugged, easy to operate design to the always loud and clear audio to the advanced end-to-end secure mobile platform and the enhanced accessibility provided by a suite of accessories. 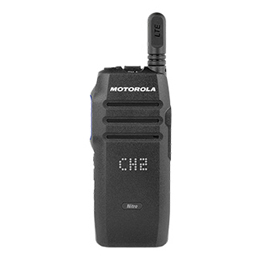 The SLN 1000 portable two-way radio is the first purpose-built OnGo radio. It delivers highly reliable broadband push-to-talk*, ensuring your voice conversations sound clear and natural. And its purpose-built design enables you to easily drive productivity, efficiency and safety. When paired with a MOTOTRBO Nitro service plan, enjoy simple management through the Nitro Cloud Portal and interoperation with existing MOTOTRBO networks. *A SIM card is required for device operation. 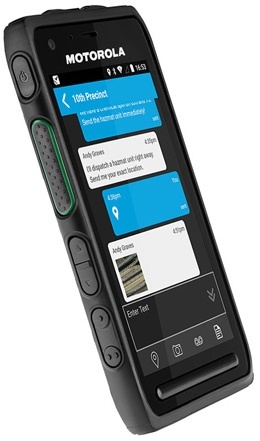 Combining the broad coverage of a nationwide cellular network with the ease of two-way radio communications, the WAVE two-way radio TLK 100 gets your team connected fast. Forget building out or maintaining a costly radio infrastructure. Get your team up and running quickly by deploying nationwide push-to-talk in less than 24 hours. 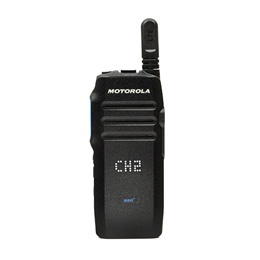 You can even use the WAVE two-way radio with your current compatible two-way radio systems and smartphones. The VML750 LTE Vehicle Modem harnesses the power of Verizon or AT&T networks and Band 14 Public Safety LTE, providing high speed data with the priority, control, security and performance required by Government & Public Safety agencies. It is IP66 sealed and MIL-STD 810G rated to withstand heat, cold, rain, humidity, dust and vibration. With flexible mounting options and optimized antenna system, the VML750 can be installed in any government or public safety vehicle. Providing a Wi-Fi hot spot for up to 30 clients, the LTE modem can turn the vehicle into a wireless hub while its built-in GPS can be used for location tracking and route optimization.